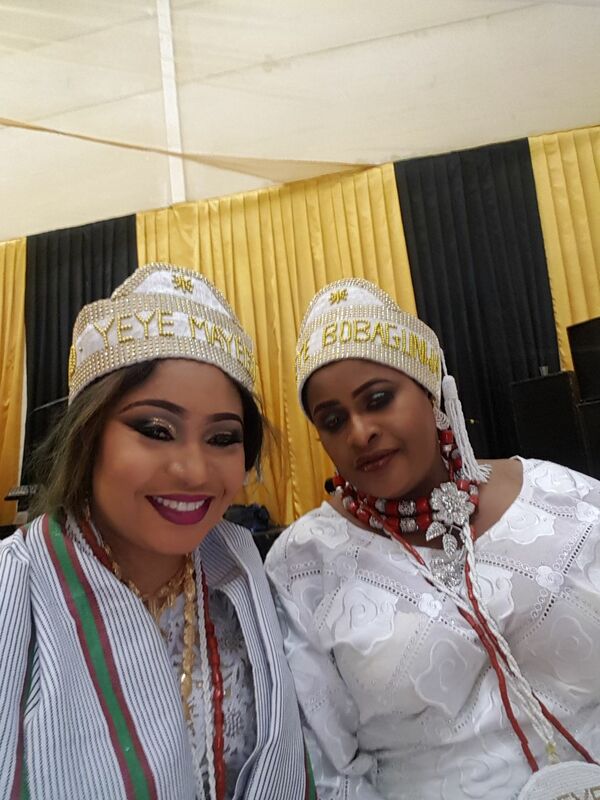 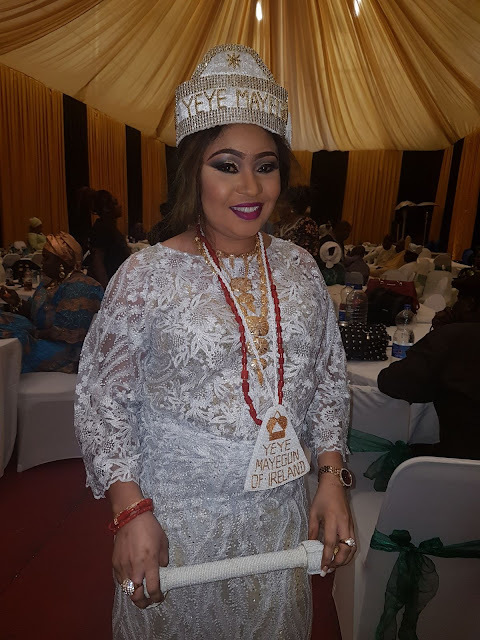 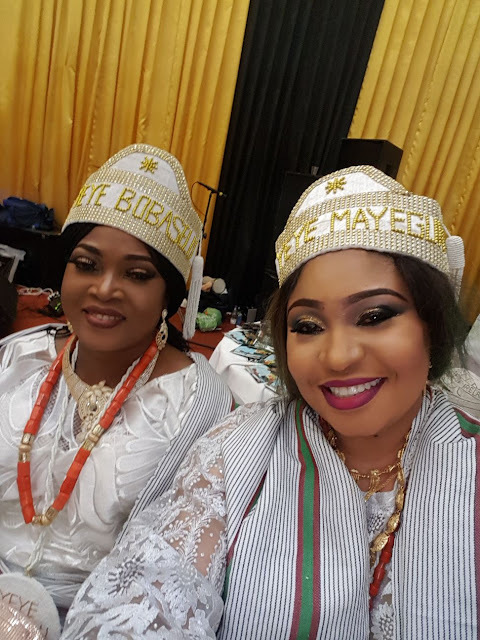 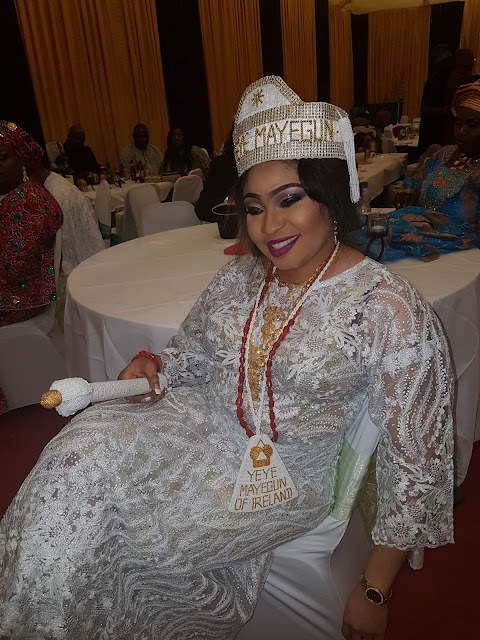 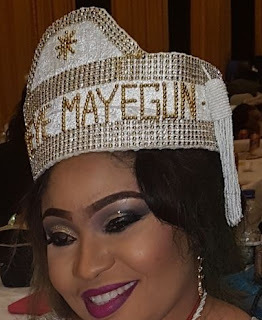 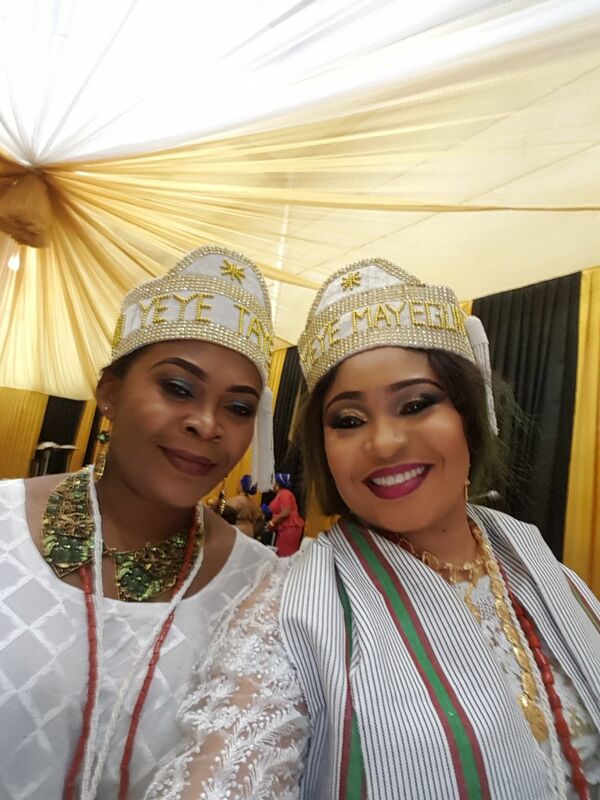 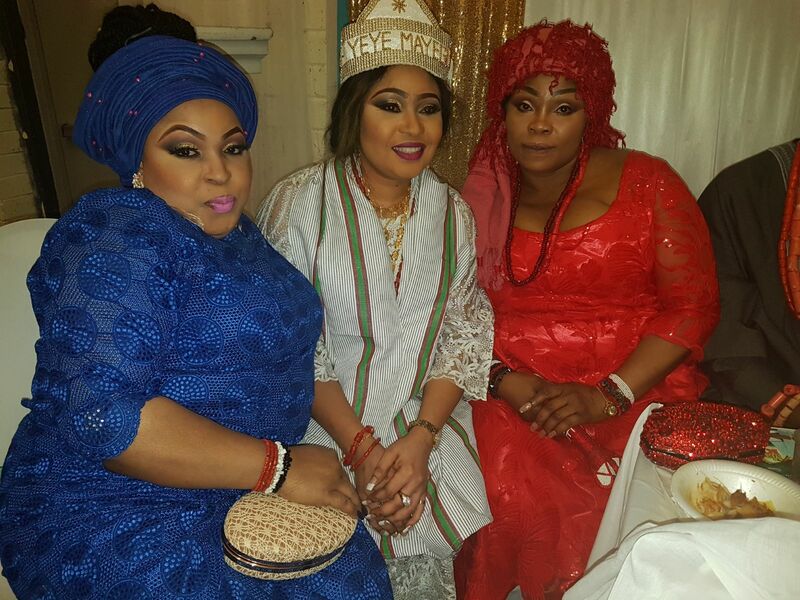 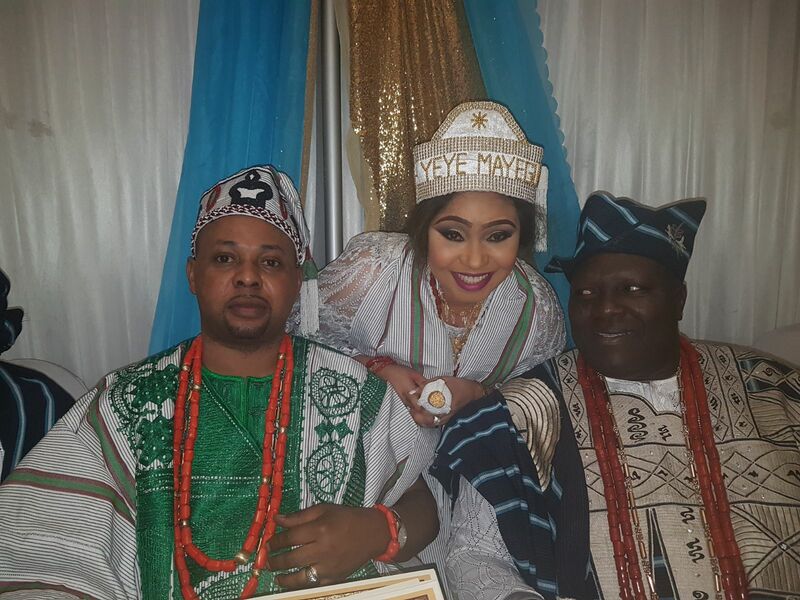 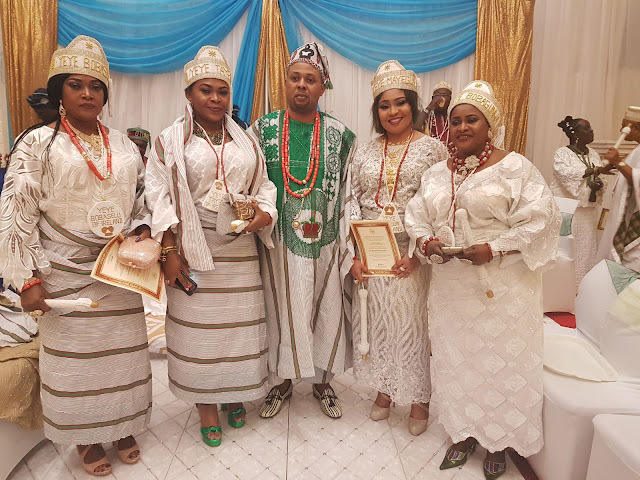 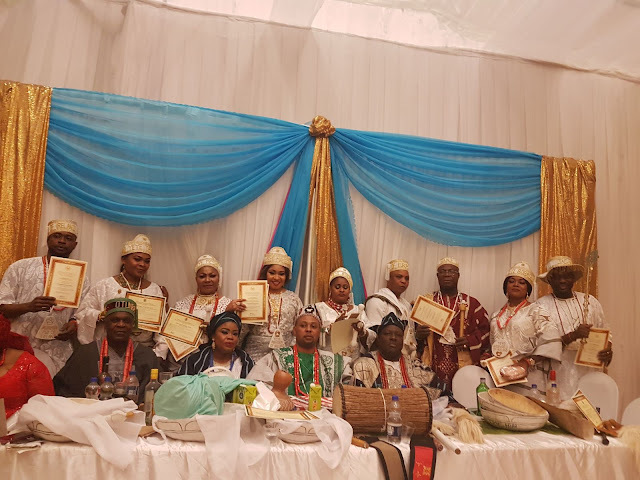 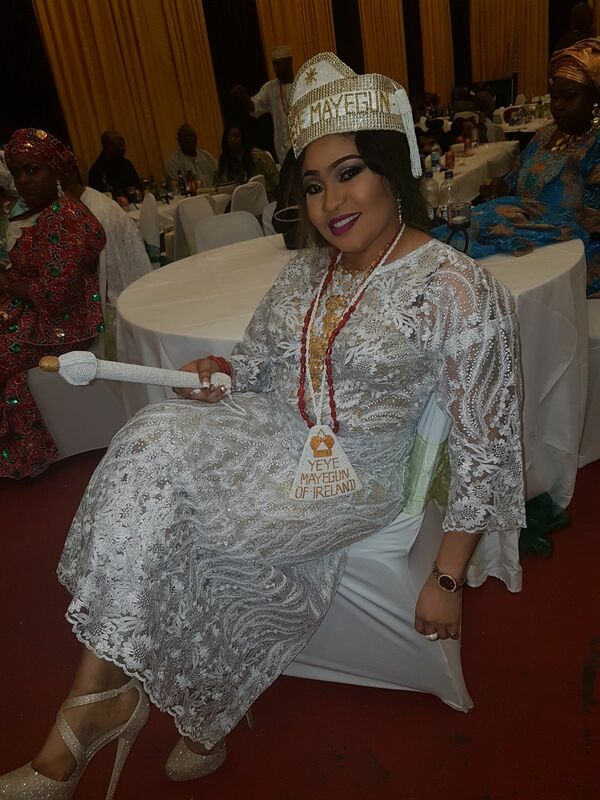 It has become a Royal Embodiment as Award winning UK-Based Actress and Daughter of Igbara Kingdom, Princess Elizabeth Agbede Onanuga has been honoured with a chieftaincy title in Ireland as the Yeye Meyegun Of Ireland. 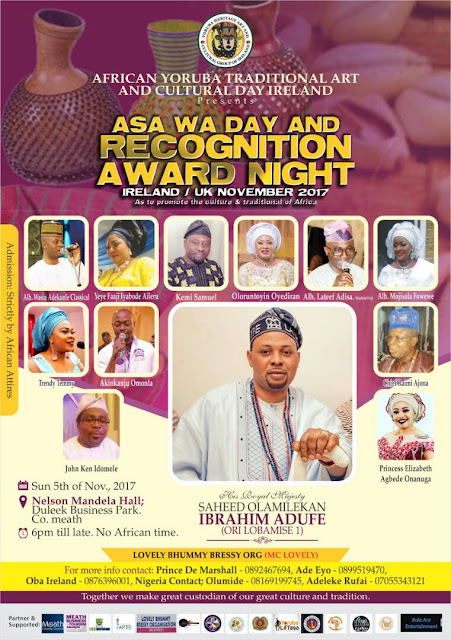 This was done on Yesterday, Sunday, 5th Of October with a lot of dignitaries in attendance including the Paramount ruler, HRM Saheed Olamilekan Ibrahim Adufe (ORI LOBAMISE1) during the Asa Wa Day and recognition award Night. This honour is definitely well deserved judging by her immense effort to promote her motherland through the Nollywood Movie Industry. 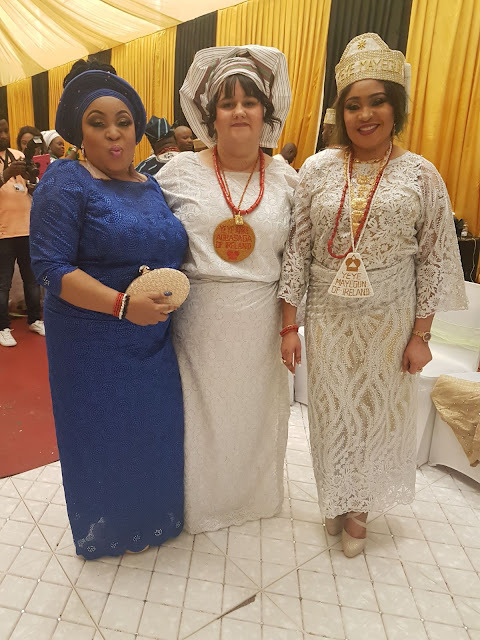 While in the UK, She has been seen as one who would never do anything to jeopardise the Yoruba Culture wherever she is and always make sure everything she does glorifies the prestigious culture. 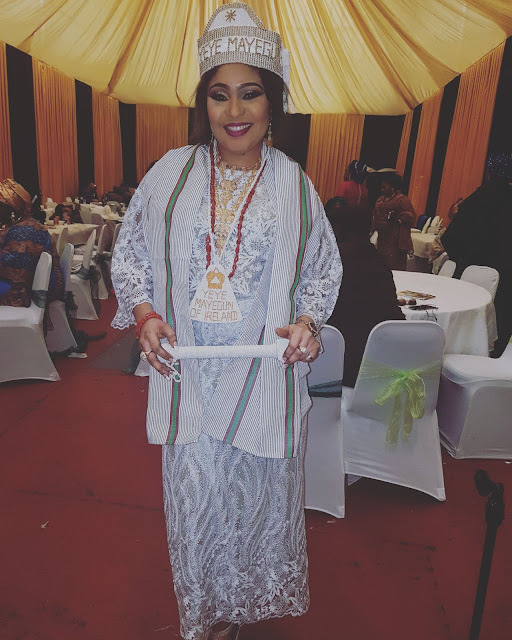 Princess Onanuga has always been active and consistent in ensuring she educates, teaches the Yoruba culture especially through her movies. 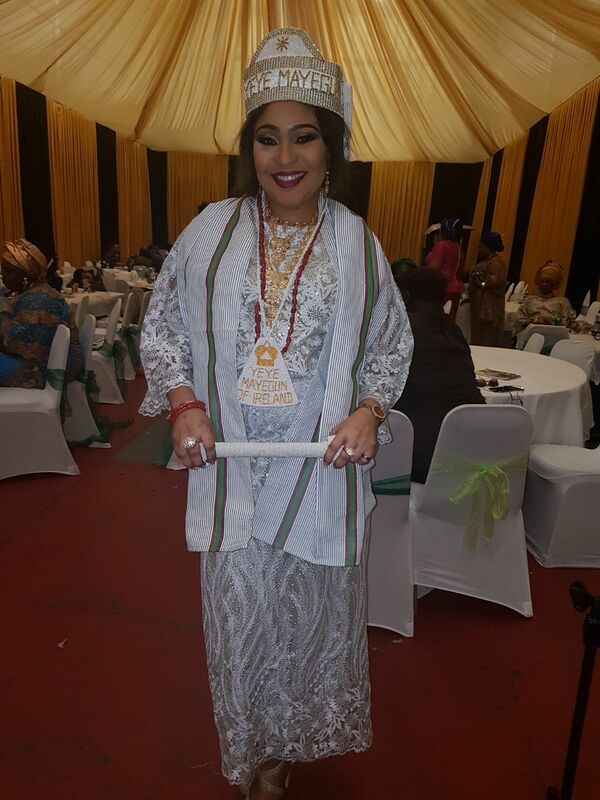 So far, she has produced more than six movies which according to her fans, has taught them various kind of lessons. 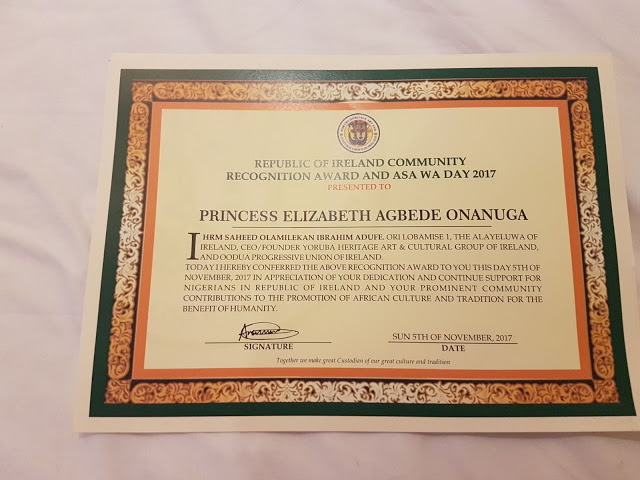 Furthermore, an award was also given to her by Oba Saheed Olamilekan Ibrahim Adufe in appreciation of her dedication and continued support for Nigerians in the Republic of Ireland and her prominent contributions to the promotion of African Culture and Tradition for the Benefit of Humanity. 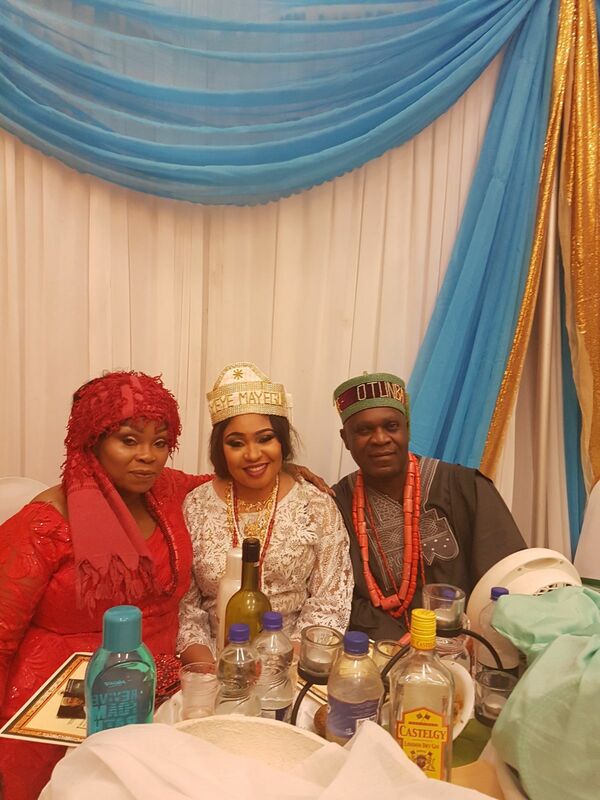 Hmmm, congrats. I could see that too.